PANAMA CITY - Lawyers representing U.S. President Donald Trump's family hotel business appealed to Panama's president for help days before an emergency arbitrator declined to reinstate the Trump management team to a luxury waterfront hotel. The Britton & Iglesias firm, which has represented the Trump Organization in its fight to continue running the hotel, addressed a letter dated March 22 to President Juan Carlos Varela. A copy of the letter was provided to The Associated Press by contacts who have worked as a liaison to the building's owners in Panama. The letter asks Varela to intervene, complaining that Panama's courts denied the organization due process in violation of a bilateral treaty and warning there could be consequences for the country. It "URGENTLY requests his influence in relation to a commercial dispute involving Trump Hotel aired before Panama's judiciary." In February, Orestes Fintiklis, the hotel's majority owner, tried to fire Trump's hotel management and take control of the property for the owners' association. Trump's family company beefed up security, but on March 5, judicial officials sided with Fintiklis. Police officers ordered the Trump management team out of the building. On March 27, an arbitrator in the U.S. ruled that Trump's company should not have been evicted while arbitration was ongoing with the hotel owners, but said he would not reinstate the previous management. Panama's foreign secretary Isabel de Saint Malo, said her office had also been copied on the letter. "It is a letter that urges Panama's executive branch to interfere in an issue clearly of the judicial branch," de Saint Malo said. "I don't believe the executive branch has a position to take while the issue is in the judicial process." A source in Varela's office who was not authorized to comment publicly confirmed Monday receipt of the letter. Alan Garten, general counsel of the Trump Organization, did not respond to questions via email as to whether Trump knew about the appeal to Panamanian authorities. Calls to Britton & Iglesias, as well as to Varela's communications staff, were not immediately answered. The letter goes on to say that the eviction violates the Bilateral Investment Treaty. "We appreciate your influence in order to avoid that these damages are attributed not to the other party, but to the Panamanian government," the letter said, suggesting that the government, not the new management team, could be blamed for wrongdoing. The letter raises questions about the president's family business matter-of-factly requesting another president's help in a private business matter by invoking a treaty signed by the U.S. and Panama. It essentially asks Panama's president to ignore that country's separation of powers and intervene in its judicial process. A headline on the front page of Panama's La Prensa newspaper Monday said, "Trump Organization Pressures Varela," and coverage described the letter as a warning that there could be consequences for Panama if the old management team was not reinstated. The letter was copied to Panamanian cabinet officials, as well as presidents of the Supreme Court and National Assembly, among others. 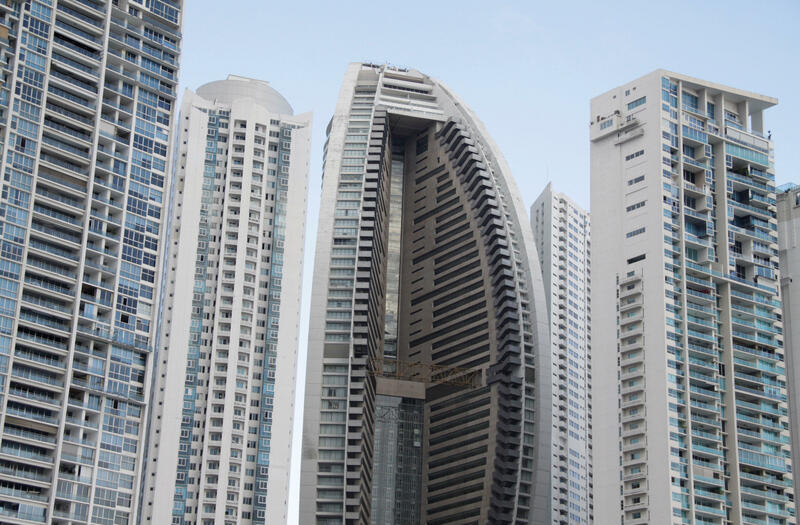 The 70-story property on Panama City's waterfront has been renamed The Bahia Grand Panama. The emergency arbitration decision late last month said the case should have remained in arbitration and never gone to Panamanian courts. Both sides continue fighting over who violated the hotel management contract.